Detail from cover of Margaret the First by Danielle Dutton (Catapult, 2016). Oil painting by June Glasson. Copyright belongs to the artist. In the early pages of Margaret the First (2016), Danielle Dutton’s most recent work of fiction, the novel’s protagonist discovers invisible worlds along the banks of a river. “There, on the surface of the water,” the young Margaret Cavendish narrates, “river-foam bubbles encased a jubilant cosmos. Whole civilizations lasted for only a moment! Yet from the creation of one of these Bubble-worlds to the moment that world popped into oblivion, the Bubble-people within it fell in love, bore children, and died, their bodies decomposing into a fine foamy substance that was then reintegrated into the foamy infrastructure of the world . . . .”1 Over the course of the novel, Margaret’s world-building reveries take more substantial form, with Cavendish (1623-1673) ultimately writing The Blazing World (1666) within and against the infrastructure of a male-dominated world of letters. Dutton’s book thereby offers its readers a double pleasure: it is a work of fiction that subtly engages with the history of fictional world-making, and always with an interest in how a Bubble-world—a fiction—might emerge from, pop, and then reintegrate into “the foamy infrastructure” of this one. Dutton’s writing often ferries between the fictional and literary historical. Her first book, Attempts at a Life (Tarpaulin Sky, 2007) offers readers biographical vignettes of women ranging from Jane Eyre to Alice James, while also drawing on the poetry of Robert Duncan and William Carlos Williams, among others. SPRAWL (Siglio 2010; Wave Books reissue 2018), her second work of fiction, is also dotted with brief passages from unexpected places, including books on suburban land use and essays by Carla Harryman, Lyn Hejinian, and Georges Perec. Dutton’s keen interest in engaging with works of literature past and present takes shape differently in her most expansive literary historical project to date: the foundation and ongoing operation of Dorothy, a publishing project. Dutton cofounded the publishing house in 2009 and runs it with her husband Martin Riker. Dorothy publishes two books per year, mostly fiction written by women, and has published sixteen books to date, with two new titles to be released this October. Taken together, these books form their own blazing world—one worth exploring as soon as you have the chance. This interview took place via email during the spring of 2018. Many thanks to Danielle Dutton for her generosity throughout. I’d like to begin by asking you about your background, because it occurs to me that some of what I find so interesting in your writing—the way it thinks with and through other texts, literary and historical; its interest in pattern formation and collage—could be related to your interest in history, which you studied as an undergraduate, and to the fact that you chose to do your MFA at the School of the Art Institute of Chicago, where you were presumably surrounded by other multimedia artists. How did historical writing and visual arts influence your early writing, and how do they continue to shape it today? I didn’t start writing until a few years after college (where I studied medieval history), and almost everything I’d read up to that point had been written prior to the twentieth century. I knew the lais of Marie de France but next to nothing about modernism, post-modernism, or anything contemporary. So there’s that. Then almost as soon as I started writing, I enrolled at the Art Institute. 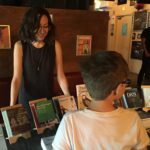 Essentially, I began my writing life with almost no idea about contemporary writing or publishing, having no real context for what it might mean to be a writer, and I learned what it could mean in a place where writing was treated as just one possibility for making or expression or play. There was zero thought to professionalization. I messed around, and was lucky to do it in the presence of a lot of paintings, films, artist books, performance artists, etc. And I produced nothing of value during my MFA! I felt free to experiment and fail. Being closer to the art world than the writing world probably had something to do with that feeling of freedom (plus my general ignorance, which was a very pleasant cushion). But the part of me that had always loved history wanted to better understand how we get from the lais of Marie de France to Virginia Woolf or Renee Gladman, so I was compelled to move from the MFA to a PhD in English—there’s a back and forth, I guess, between material play and the pull of knowledge (or play and research) that marks my writing still. Attempts at a Life tells and retells the biographies of figures from both literature and history. 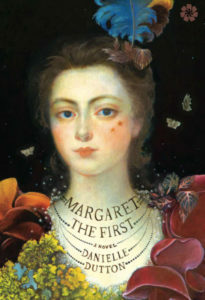 In your most recent book, Margaret the First, you tell the story of the trailblazing British writer Margaret Cavendish. 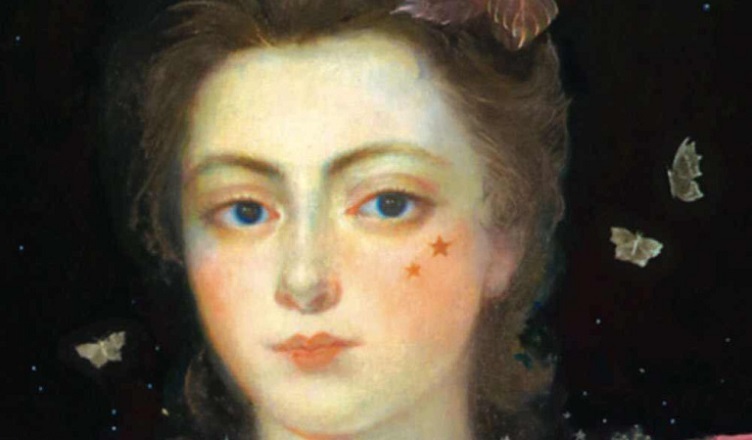 Each of these books adopts and adapts forms of experimental (auto)biography that have their own literary histories—with a couple lines going back to Gertrude Stein and Virginia Woolf. Did you have a sense with these books that there was something that fictional and poetic writing could achieve that historical or biographical writing could not? Or, if you don’t want to put those modes in opposition, how did thinking through earlier experiments in historical and (auto)biographical writing—in figures like Stein and Woolf, and I’m sure many others—help to shape your sense of these projects? Sure, a novel lets us imagine. It lets us approach a figure or a historical moment from the inside, or sideways, up its skirts. There were all these questions about Cavendish I kept bumping into when I was reading scholarly works, and I felt inclined to answer them. I felt a perverse sort of ownership and interest in her almost immediately. Though in the end I don’t think the novel is all that full of answers. I hope what it does is create a space of consciousness. Stein’s The Autobiography of Alice B. Toklas had a big impact on Attempts at a Life (in particular the story “Everybody’s Autobiography, or Nine Attempts at a Life”). Orlando isn’t my favorite of Woolf’s books but it impresses me (all her work impresses me), and it’s possible it shaped some of my thinking. Certainly both books allow us to see how we might talk about the self, slant, precisely when we are (ostensibly) telling another’s story. Could that ever not be the case? I’m thinking now of Nathalie Léger’s Suite for Barbara Loden or Marie Darrieussecq’s Being Here: The Life of Paula M. Becker, which I finished yesterday and found very moving, beautifully handled. And there are other experimental biographical fictions I admire very much—Lydia Davis’s “Marie Curie, So Honorable Woman” and Kathryn Davis’s Versailles (about Marie Antoinette) spring quickly to mind. I think what both do so well is come at their objects of interest from an unexpected place, gazing strangely. You feel history there, and yet you feel so close. Both. Sebald does this too. There’s something thrilling to me about this approach, like a cat stalking its prey from behind a veil of grass. Anyway, I don’t know what effect any of this had on Margaret the First, since I wasn’t planning on writing a biography of any kind. I wanted to write a Perec-inspired book about London in the seventeenth century, spatially organized, concerned with plumbing, gardens, scientific instruments, etc. It morphed, and as it did I felt my way along. You’re often explicitly in conversation with other writers in your works. I love, for instance, that your three singly authored books to date come with acknowledgments listing the books any given project is indebted to. You make some of these connections apparent in the texts themselves as well. Attempts at a Life is collage-like in its construction. The way that you quote and paraphrase other texts in both Margaret the First and SPRAWL, offering intertextual props not only to your reader but also to the characters you write about, is seamless. And yet you often deliberately show the reader that you’re quoting, paraphrasing, or reworking something else. Could you comment on your development of this creatively citational and intertextual style? Why it is important to you to show how your writing plays with and alongside other writing? I was just reading a lovely interview with the poet Ocean Vuong where he talks about creating new structures to live inside of, and how important this is for queer people to be able to do. He says, “For a lot of queer people . . . in most of our childhoods, we can’t even say, ‘When was I okay for five minutes in my consciousness?’” When I first read this, though I am a straight person, my mind couldn’t help but answer his question: “Only when I was reading.” So part of the answer to your question has to do with how important (almost sacred) reading has always been to me. Still, I can be a very restless, kinetic, drifting sort of reader. The things I respond to in my writing are sometimes things I know well but they are sometimes things I’m just flipping through, picking up. As for my desire to acknowledge it . . . I don’t know how else to handle how I work or how I think about my writing. It seems like the only way to be in a conversation. You have to acknowledge who is there. Which must mean that writing, for me, is conversational. It’s a terrific passage, and it helps me to think about your writing in relation to your editorial and publishing work. Your writing takes part in a conversation, and so does your role as Editor of Dorothy, a publishing project. How are the conversations that you have or the kinds of listening you can do different when you’re editing rather than writing? And to follow up on that immediately, are editing and writing ultimately different kinds of creative work for you, or do they coalesce in a larger creative project? I see correspondences between your writing and editing, but I’d be keen to hear your thoughts about this. Yes, I started Dorothy because I wanted to be in conversation with writers I admire (first among them Renee Gladman, whose Ravicka series was the catalyst for our starting the press when we did). Writing is such solitary work. And even the not-writing part of being a writer… it can sometimes seem like we’re each alone on a desert island, isolated and yet somehow in competition for supplies. I think this is a mistake. I’m much more interested in collaboration and shared curiosity. I’m sure I’m being idealistic, but I’ve always been a little jealous of musicians and actors, how they get to be in a room with other people making something together—that collaborative energy and camaraderie. Of course publishing isn’t really like this, we’re not all in a room together, but it’s something, it’s a coming together of a kind. Starting the press made my experience of being alive and writing something bigger and less isolated than it had been. So I suppose that being a writer and being an editor, for me, are different ways of being part of the larger experiment of literature (and life). Naturally the actual work of being an editor is different from the work of being a writer—there’s a lot more emailing involved when I’m being an editor, for one thing—and as you say, the listening is different, the pose is different. When I edit, for example, I need to be a less kinetic and drifty reader. But I appreciate being forced to pull myself into focus in that way (teaching, my day job, does this for me too), and then I’m always pretty thrilled when I get to drift off into my own writerly headspace for a while. So it does all coalesce into a larger project. The project being: literature? being: the making of books? being: being a reader? And all of this is also, actually, part of my marriage (the project of my marriage?) since my husband and I run Dorothy together. I’d like to return to your comment that Margaret the First began as a Perec-inspired, spatially organized book about London in the seventeenth century. Your mention of spatial organization interests me for a couple of reasons. First, SPRAWL also engages with Perec and appears to be interested in space, psychology, and artifice. And second, your fictional treatment of space in that book has interesting parallels with several of the writers you’ve published with Dorothy. Renee Gladman’s Ravickian books seem to be developing a poetics of space through the invention of a new language (Ravickian) with complex gestural patterns that respond to the experience of being in space, amongst buildings. 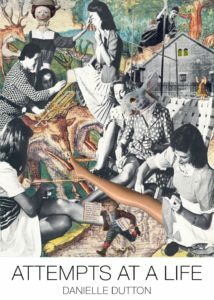 Fra Keeler (2012) by Azareen Van der Vliet Oloomi and Dan (2014) by Joanna Ruocco also come to mind as Dorothy books with an intense interest in space and its relation to psychology and writing. To bring these observations into a question or two: What does it mean to you to write a spatially organized book? What kinds of common interests do you see between your own writing about space and the writing of Gladman, Van der Vliet Oloomi, Ruocco, Barbara Comyns, or others? For Margaret the First, in that original conception, I imagined a book that would be like a map of London via its gardens in one year, and each garden would open for the reader like a box. A scene would unfold in the garden, then you’d close that box and move to the next. I’d been inspired by Perec’s Life a user’s manual, where he lifts the front off of a Parisian apartment building and explores the spaces revealed. He maps the building via stories of objects and spaces, and the people who interact with those objects and spaces, and that mapping shapes the book (rather than a linear plot). So that’s what I meant by “spatially organized,” but that’s not what I think it has to mean. I’m not sure I can speak to commonalities between my writing and the books we publish at Dorothy, at least not in such specific, thematic terms. I’m sure there’s some inescapable affinity, but my own sense is that I’m drawn to work because it feels utterly different from my own (or anyone else’s), not because it feels alike. I can say that my interest in stories that are interested in space seems integral to my own sense of narrative. I remember my favorite bedtime story when I was a kid being Beatrix Potter’s “The Tale of Two Bad Mice,” not just because the mice are so naughty but because I took so much pleasure in the way the story lets us move around inside the dollhouse. I like that idea that you’re drawn to difference. Your response reminds me of the quote from Margaret Cavendish with which you introduce Margaret the First: “Art itself is, for the most part, irregular.” Dorothy has two new books coming out this fall: Wild Milk by Sabrina Orah Mark and The Taiga Syndrome by Cristina Rivera Garza. Can you introduce us to these forthcoming books and say a little about what difference or irregularity you saw in them? What made these the two books Dorothy would publish this year? Sabrina Orah Mark’s Wild Milk is her fiction debut, though she is the author of two books of poetry, and it’s a collection of stories in conversation with Samuel Beckett and Leonora Carrington and the fairy tale and the shtick (and the poem!). They’re electric stories: weird and sweet and awful (in the good way) and awfully funny (with titles like “Two Jokes Walk Into a Bar” and “Don’t Just Do Something, Stand There!”). Actually, we did a small PR interview with Sabrina to accompany the galley copies, and in it we asked her about her use of humor. Her response is quotable: “As a child, I studied Talmud and one thing I was taught to understand is that there is no answer, or if there is an answer the answer is marked with an answerless-ness so vast it’s reminiscent of that place in laughter where you can hardly breathe. A good punchline leaves you off at a stop you never imagined existed . . . whether you’ll be able to find your way home is anybody’s guess. And maybe that’s one essential key to Jewish humor: it gives us this breathlessness—this ha ha holocaust—of a wanderer, of a woman laughing and laughing, doubled over, and crying stop I can’t breathe.” This gets at something essential about the book, I think. We’re also excited to be publishing Cristina Rivera Garza, an important Mexican writer and someone who we believe should be / will be / must be better known in the English-speaking world. The Taiga Syndrome is a novel about an ex-detective who agrees to try to find a man’s missing wife, the wife having fled to the taiga with another man. But it’s about much more than its plot. According to the poet Daniel Borzutzky, who wrote in support of it, The Taiga Syndrome is, “about exile, disappearance, borders, love, language and translation, desire, capitalism and its discontents, fairy tales, and what it means to be possessed by the madness of others and the madness of ourselves.” If I were going to give touchstones, I would offer Marguerite Duras and César Aira and Juan Rulfo, but the book is also completely its own thing—raw and wild. It was translated from the Spanish by Suzanne Jill Levine and Aviva Kana. Both Wild Milk and The Taiga Syndrome are working in the realm of the fairy tale, though that’s more an interesting coincidence than a reason we put them together. They are so, so different, and that one shared element serves if anything to speak to how different they are, and how even the somewhat strict literary form of the fairy tale is in fact infinite in its expressive potential. Why are they Dorothy books? Because we love them. Because we feel we can bring to them the kind of personal attention that will make a difference for them. Because they expand what “being a Dorothy book” means for us in ways that seem immediately right. Turning back to your writing to conclude, I read your terrific new story in the Spring 2018 Paris Review. Is that part of a new project? Do you have anything else forthcoming or in the works that you wouldn’t mind talking about? Thank you. I’m writing stories, yes, which I haven’t done for years. I like thinking about the larger shape of a book, but writing stories has been proving . . . refreshing. I’m interested in tightness and density, in figuring out how little a story can contain while still gesturing emphatically (if obliquely) in some specific direction. Maybe a better way of saying this is that I’m interested in stories that have a weight or pressure that is purposefully belied by their apparent smallness. But I’m also finding that these new stories are spaces in which to think through everyday experience—from what I read to dreams or interactions or worries—and that’s been refreshing too, especially after years writing a novel about an actual person set in the seventeenth century. 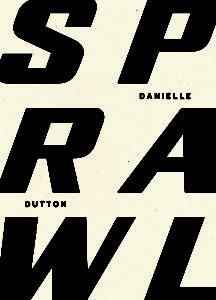 Also, SPRAWL, which was published by the art press Siglio in 2010, is being reissued by Wave Books in September 2018. 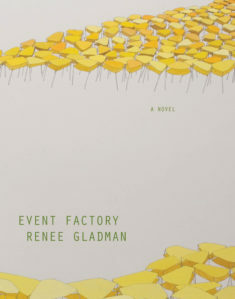 I’m very happy it will have a new life, and happy to say it will be published with an afterward by Renee Gladman, whose writing was part of the original inspirational matrix behind SPRAWL, though I didn’t know Renee the person back then. Over the years, Renee’s work has been important to me in a number of different ways, so it’s wonderful to get to share this new space with her and her words. Danielle Dutton is the author of Margaret the First, SPRAWL, and Attempts at a Life. Her writing has also appeared in Harper’s, BOMB, Fence, Noon, The Paris Review, etc. In 2009 she cofounded the acclaimed independent press Dorothy, a publishing project. The press is named for Dutton’s great aunt, a librarian who drove a bookmobile through the backroads of Southern California, delivering books to underserved desert communities. Born and raised in California, Dutton now lives in Missouri with her husband and son, where she teaches literature and writing at Washington University in St. Louis. Danielle Dutton, Margaret the First (New York: Catapult, 2016), 10. 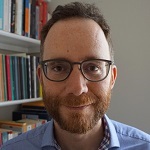 Abram Foley is Lecturer in Literature and the Creative Industries at the University of Exeter. He is completing a book on editorial theory and his writing has appeared or is forthcoming in Affirmations: Of the Modern, ASAP/Journal, Criticism, symplokē, and Textual Practice. He is currently Editor of ASAP/J.